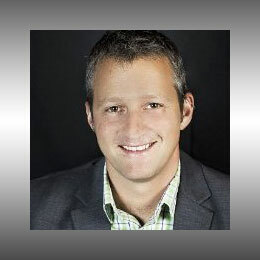 Mike Telem is vice president of product marketing at Marketo. In this exclusive interview, CRM Buyer discusses with Telem the account-based marketing strategy. CRM Buyer: How would you define account-based marketing? Mike Telem: Account-based marketing is all about targeting key accounts. It’s a strategy for marketers to focus most of their efforts on key accounts. CRM Buyer: Why do you think ABM is an effective strategy? Telem: In most B2B businesses, you have a small number of accounts that are the most valuable. So it makes perfect sense that focusing on those accounts provides a better return on investment. Instead of generating a lot of leads and then qualifying them, you define your key accounts and go after them. Anything you generate from then on is almost always qualified. CRM Buyer: What makes for successful ABM? Telem: You need to have a certain alignment between sales and marketing, and it’s beneficial to have similar alignments within your company. It’s also important to have a few key capabilities or technologies in place so you can implement ABM and turn it into action. One of the reasons we’re seeing the ABM trend is that in the past few years, newer technology has come to light that enables some of the things that marketers want to do, such as being able to target specific accounts based on their IP address in real time. There are a lot of digital capabilities that allow you to accurately market to an organization and not necessarily to a known person. Those changes, as well as additional applications that enable some of these capabilities, are what enable marketers today to do account-based marketing. They’re really doing what sales people have been doing manually all along. Sales people have always woken up in the morning and thought about their accounts, but most of that work was manual, and marketing was not able to align with that work in a strategic and scalable way. Now, new technologies are allowing marketers to do just that. I don’t think ABM is a revolution, but rather an evolution of B2B marketing. CRM Buyer: What are some mistakes you see companies making when implementing ABM? Telem: One of them is trying to identify all relevant key accounts. That’s something that would take a long time, and it’s not essential. You don’t need to define all of your key accounts before starting an ABM program. What happens is that companies go through a long process without seeing any results, since they’re spending time identifying key accounts. The ideal way to do it is to identify key groups to go after and start with those. Another mistake is that marketers really focus on one channel. They’re doing their marketing via email or ads, but they’re not using all of the other digital and physical channels available to them. CRM Buyer: How can an organization best identify valuable accounts? Telem: There are a few ways. Many companies have a decent idea of their key target accounts, since their people are already going after them. If they don’t have a list, they can talk to sales teams and ask if they have identified key accounts. Another way is to analyze data in your CRM system to see which deals have generated the most revenue, or which deals have closed fastest. CRM Buyer: What is the secret to effective customer engagement? Telem: There are a few elements. The first is to engage across channels. You can’t send me a great message via email, and then on the website give me just a generic message. The other thing is you need to understand what account I’m from, and who I am in that account. With ABM, a lot of marketers are focused on the account level, and they forget there are people making decisions within those accounts. CRM Buyer: What’s in the future for ABM? How is it evolving? Telem: Right now, we’re at the stage where everybody is excited about it, and everybody thinks they need to do it, but many are not sure how. In the near future, there will be a lot of hustle and bustle as companies begin to implement ABM. And then the market will start to settle down, and we’re going to see more specialized ABM combinations, with specific use cases. You’re going to start to see different flavors of ABM as the market matures. One of the interesting things is that ABM marketing is bringing back older, non-digital techniques. Say you’re focusing on a group of the top 50 retailers, for instance. With ABM, you’re more than happy to have a luncheon for them in New York. Some of the things that marketers put aside have become relevant again. ABM brings back traditional marketing techniques in a scalable, re-energized way. Freelance writer Vivian Wagner has wide-ranging interests, from technology and business to music and motorcycles. She writes features regularly for ECT News Network, and her work has also appeared in American Profile, Bluegrass Unlimited, and many other publications. For more about her, visit her website. You can also connect with Vivian on Google+.